Throughout each day, you need to drink 64 ounces of pure water that is kept at 50 degrees Fahrenheit or colder. The idea is that your body needs to use energy to heat the water to body temperature, and doing so will burn about 12 calories for every pint of water. If you are on the water diet you will burn calories naturally by using your internal energy to heat the water, while completely flushing out your system. Theoretically, the science behind it makes sense on a molecular level, but it doesn’t make sense on a clinical level. You’re not going to see it work effectively in a person. Drinking more water each day does promote a healthier lifestyle but it is the “cold” water factor that makes people believe they are doing something effective toward weight loss. Not everyone can follow a diet like this, such as heart, kidney, and liver patients who have fluid retention problems and electrolyte imbalances. This diet states that drinking three glasses of 1-percent chocolate milk throughout the day, alongside a healthy diet, will increase weight loss. Because of the calcium, vitamin D, endurance-boosting capabilities for workouts and positive protein-body weight connection, chocolate milk has the power to help you diet “without ever dieting again.” Each component offers lofty reasons, mostly combinations of protein and carbohydrates, as to why it will aid your metabolism to help you burn fat. Cheese and crackers are protein and carbohydrates. The fact that it’s chocolate milk makes it more appealing. They are saying the calcium serves as a metabolic booster and the vitamin D will help you burn fat. There is no proof that vitamin D substitution or calcium causes weight loss. In the big clinical picture, it does not produce the outcome. Protein and carbohydrates that are found in this diet are actually used to replenish your body 30 minutes after a workout. The diet credit is mostly due for promoting an exercise routine, but any weight loss using this method hardly has anything to do with the chocolate milk itself. You basically start eating a lot less carbohydrates, including fruits and starchy vegetables, and replace them with high-protein foods. Your body breaks down carbohydrates to use as its main fuel source by producing glucose, which enters your body’s cells with the help of insulin. The theory is that insulin prevents fat breakdown in your body by allowing sugar to be used for energy. Decreasing your carbohydrates intake, results in lower insulin levels, burning stored fat for energy, and ultimately help you to shed your excess weight. When the Atkins diet first arrived on the scene, some participants rationalized that a pound of bacon was better for you than bread, while others only ate 150 calories of carbohydrates a day. 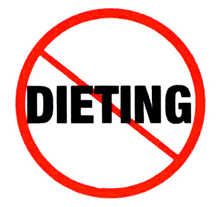 There are too many misconceptions and variables when it comes to this diet. The American Dietetic Association recommends getting 55 to 60 percent of your calories from carbohydrates. For most people this can be excessive. Carbohydrate intake needs to be tailored to fit a person’s needs, especially because it is recommended that pregnant women, teens, and those with diabetes beware of this diet. Watching your carbohydrate levels is important because it is a main source of energy for your body, it really should be measured by a professional in the nutrition field to ensure real, healthy weight loss. This plan is based on a presumed ancient diet of wild plants and animals followed by those from the Paleolithic era. It is based on the principle that hunter-gatherer societies did not suffer from “diseases of civilization,” due to a lack of calories in their diet, as well as additives or worse. This diet is good in a way because it promotes whole foods. Scientifically, you are going to be very restricted in that you are going to miss dairy, whole grains, and beans, which are an important source of nutrients. This diet asks you to chew your food thoroughly, as in chewing each bite 80 times to basically liquefy your food. Then, you spit it out. On paper, you will absorb fewer calories while still enjoying the taste of food. This is just short of bulimia. This is a psychological problem and a form of disordered eating habits. With such high levels of mastication, it almost causes an aversion to food. You’ll get tired of chewing so much. Socially, it isn’t acceptable, either. Ultimately, you are creating a nutrient imbalance, because you aren’t getting the micronutrients or food absorption you need. Your body is also overproducing stomach acid in anticipation of digestion it will never need to do, leading to reflux and damaged teeth from housing food in your mouth for so long. The idea is simple…replace one or two meals a day with 14 various jars of baby food and stick to one regular meal a day or several high-calorie snacks. While the quality of the baby food you choose does matter, the theory states that the portion-controlled jars will prevent overeating and you will become satisfied with smaller portions of food. All in all, baby food is not fortified for an adult. You’re missing key nutrients. Eventually, it could lead to bone density issues. While it isn’t necessarily harmful, it just isn’t doable long-term. While the weight may come off, it isn’t going to stay off unless you eat baby food for the rest of your life. This diet is not just 17 days long, but rather three 17-day cycles of regulating your carbohydrate intake to keep your metabolism guessing. The idea is that shifting your meal plan every 17 days, before your body registers certain eating habits, you can keep your metabolism in high gear. You start out overly restrictive and under-caloric in the beginning, then move on to eating 1,500 calories a day, and then the third phase has you overindulging on the weekends. First off, there is no proof that it speeds up your metabolism and to fool your metabolism is impossible. The idea that you can trick your body and treat it on the weekends is silly as well. Why not have a little bit of the food you like every day in moderate portions? Indulging on the weekends is pointless. Your body doesn’t know that it is Tuesday or Saturday night. For a solid week, “indulge” in a bottomless bowl of cabbage soup and some select low-calorie food options. It promises to help you shed 10 pounds in the first week, however there are no set guidelines to help you manage your weight loss. People lose a lot of weight from this diet because of the diarrhea they get from it alone. You aren’t getting any calories and you’re getting bloated and full from a very restrictive diet. From a gastrointestinal standpoint, it is catastrophic. This diet is an intense, 40-day, 500-calorie diet consisting of vegetables, fruits, and two meals of 3.5 ounces of protein alongside injections of HCG, a hormone found in pregnant women. The theory is that it will create some symptoms of pregnancy, such as nausea from morning sickness, to help control your desire to eat. While injections aren’t the only way HCG is distributed (there are tablets, etc. ), it is believed that the injection method is the only one that is of any benefit. This is a completely unsafe method of losing weight. A 500-calorie diet is considered unsafe because it it could never meet your nutritional needs. There is no proof that the hormone itself will help you lose weight. An all-vegetable diet made of 85 percent raw, uncooked foods and 15 percent cooked foods. Vegetables that are uncooked are in a more natural state, according to this diet, and cooked vegetables are tainted by whatever juices they may be cooked in. Vegan diets are not very safe. Most people really need to be monitored very closely by health professionals because they often become anemic. Also, eating solely raw vegetables is not only hard on your digestive system, since cooked foods are absorbed more easily, but there is no proof that raw vegetables are more effective than cooked ones.